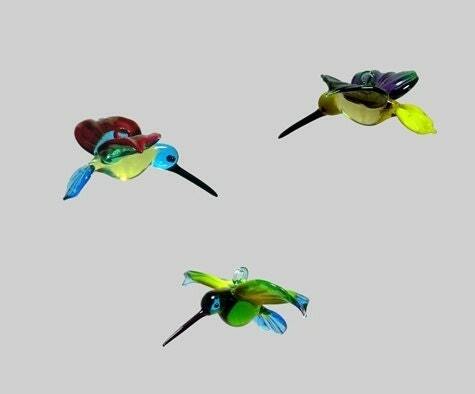 Handmade, lamp worked glass hummingbird ornament. 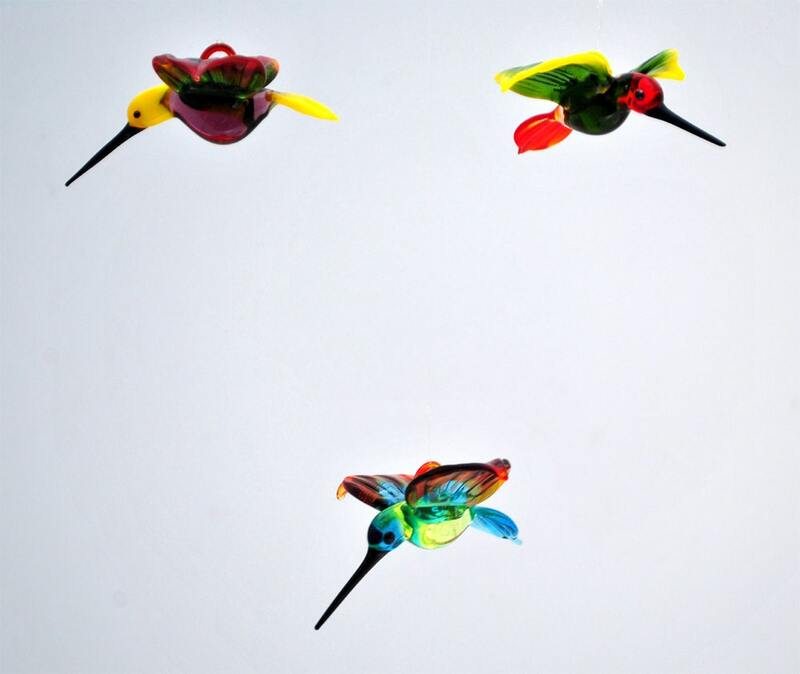 Hummingbird is always made with 3 to 4 colors. 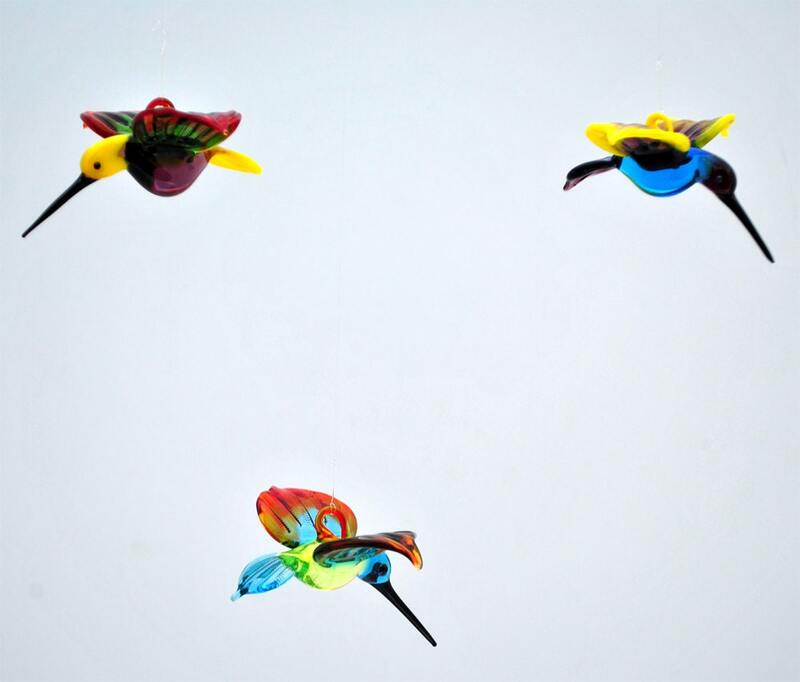 Colors combinations may vary depending on glass rods in stock but will always be made in beautiful, vibrant, and flamboyant colors. 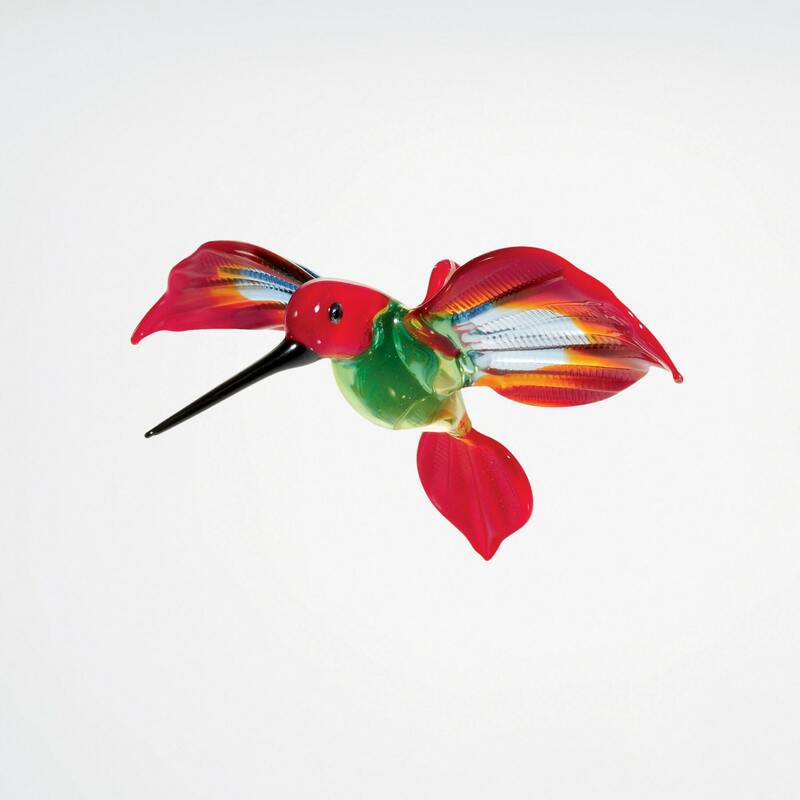 Love this hummingbird...beautiful colors and craftmanship. All went well with the order process too!